Officials at Disneyland in Anaheim have announced that the company is moving one of its main security checkpoints outside the entrance to Downtown Disney. According to FoxNews.com, a Disneyland Resort spokeswoman revealed that bag-check and metal detectors would be relocated to the point where guests enter the property through Downtown Disney and the Mickey & Friends parking structure. The security checkpoint move is expected to be completed by the end of 2016, and it will result in guests being checked as they leave the parking structure before boarding the tram which enters Downtown Disney. 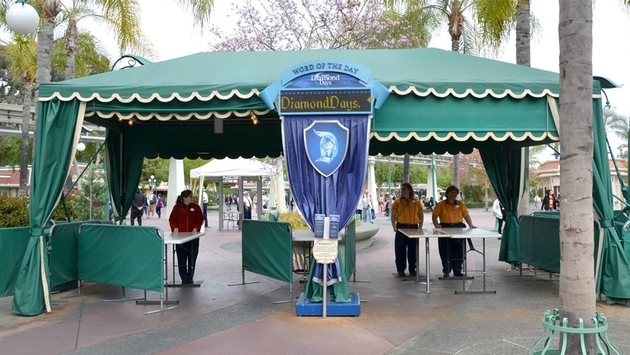 Disneyland is also adding two new security checkpoints, one between the ESPN Zone and the Rainforest Café and the other between the ESPN Zone and the Earl of Sandwich restaurant. Not only will the increase in security help protect guests, but it will also make it easier for visitors who will be able to visit Downtown Disney without having to go through security again to return to Disneyland or Disney California Adventure. The increase in security comes at a crucial time for the Disney brand. In October, two guests were arrested at Walt Disney World amusement parks in Florida for attempting to carry concealed weapons into the facilities. All Disney properties have a ban on guns, and even guests with weapons permits can face trespassing charges.